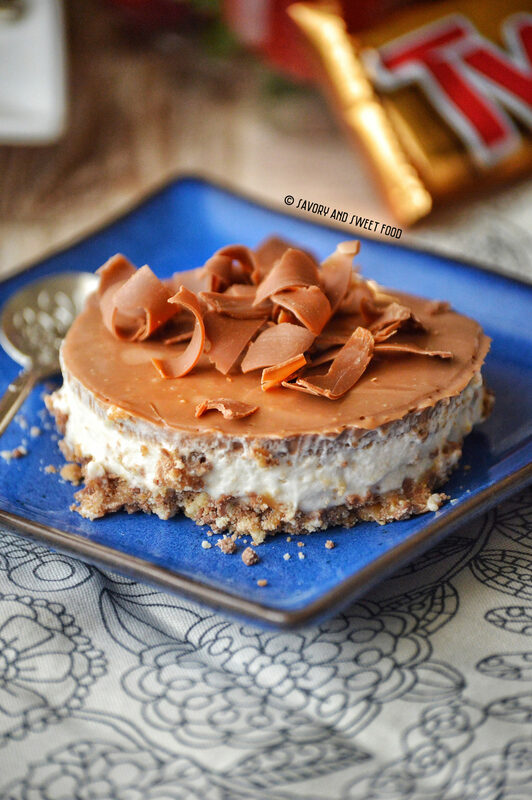 A No-Bake Twix pie with a crushed Twix candy bar base, a light and airy salted caramel filling and a rich chocolate sauce on top. Oh Twix… I love you soo much!! I really do. Haha! I am sure many of you feel the same way as I do. 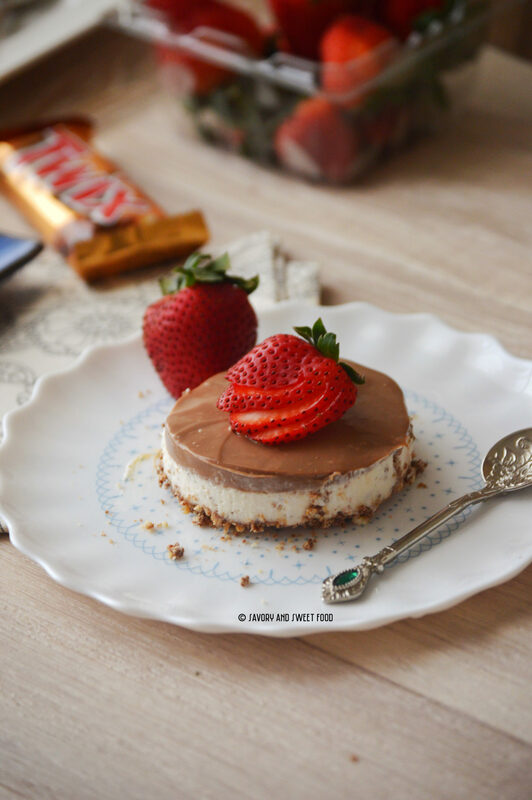 As much as I love Twix bars, I love to make desserts with them. 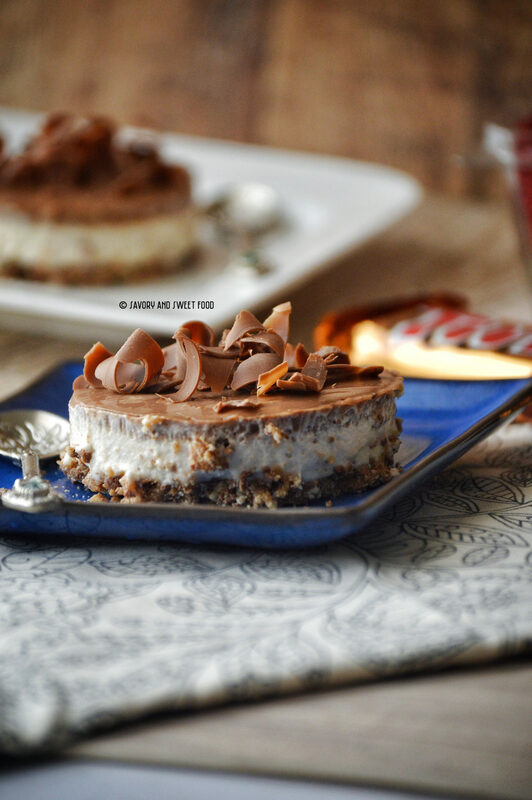 I am sure many of you have tried my easiest 5 Ingredient Twix pudding. 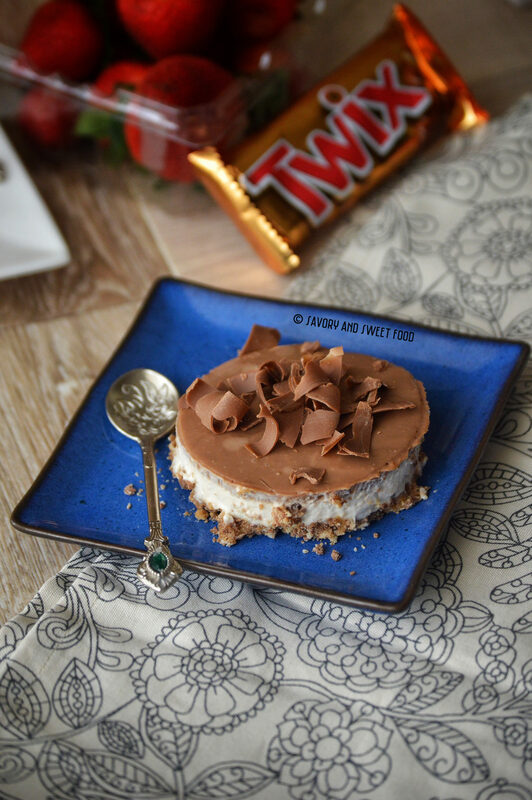 Now this is another way by which you can make your Twix bar taste even better. Just crush them with your processor and you get a nice pie base. You wouldn’t have to add butter or anything. 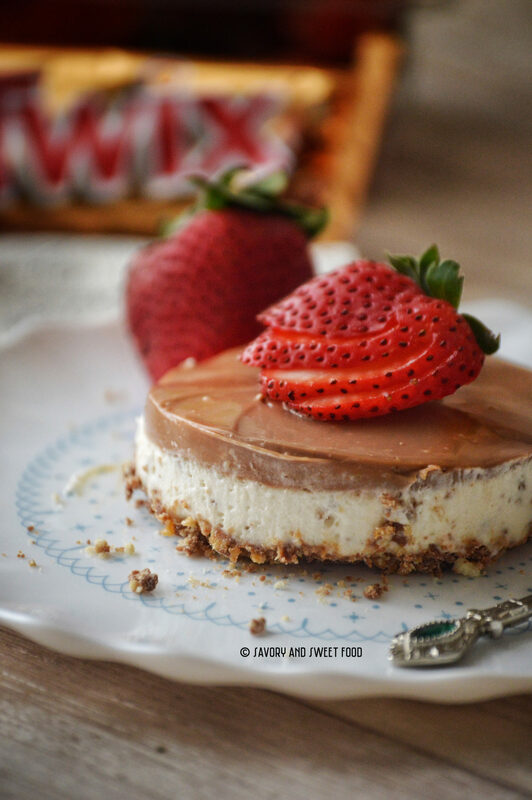 It beautifully clumps together because of the caramel in it and makes it easy to make the base. Then I topped this filling with a nice and thick chocolate sauce/ ganache. I didn’t use whipping cream for this, instead I used the thick nestle cream because of which I got that thick and creamy consistency to the sauce. It was heaven! Instead of the homemade salted caramel sauce, you can use store bought salted caramel or just regular caramel sauce. Or else you can just use sweetened condensed milk. The crushed cookies are highly optional. Make sure that the salted caramel is completely cool before adding it to the whipped cream. Make sure that the Chocolate sauce is completely cooled before pouring it on top of the pie. 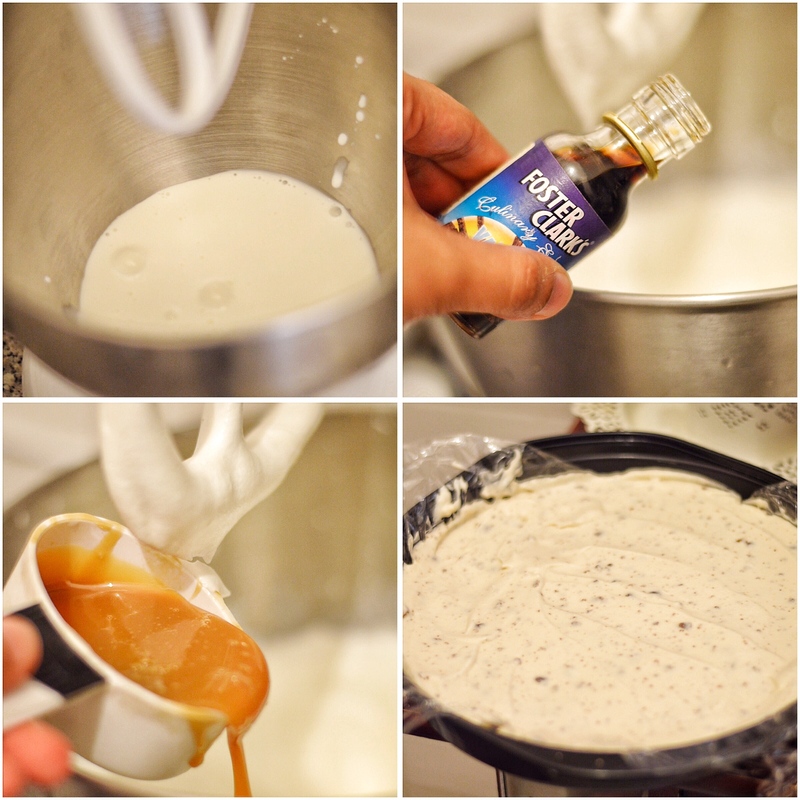 Do not whisk the whipping cream for very long or else you will get curdled cream, which won’t be of any use. At the same time do not under whip the cream, it has to be stiff and creamy. Otherwise the pudding won’t set well. In a small saucepan, whisk together brown sugar, butter, whipping cream and salt over medium high heat. Bring this to a boil, then reduce heat. Simmer for 5 minutes, whisking regularly. Add in vanilla and stir. Remove from heat. Line a 9 or 8 inch tray with a cling film or use a springform pan. Crush the twix bars in a food processor or grinder till it is broken down and starts to clump together. It may take about 2-3 minutes. Press this evenly on the tin with your hands. Place it in the fridge while you make the filling. Whip the whipping cream till you get stiff peaks. Pour in vanilla essence, cooled salted caramel and crushed cookies if using. Mix gently till incorporated. 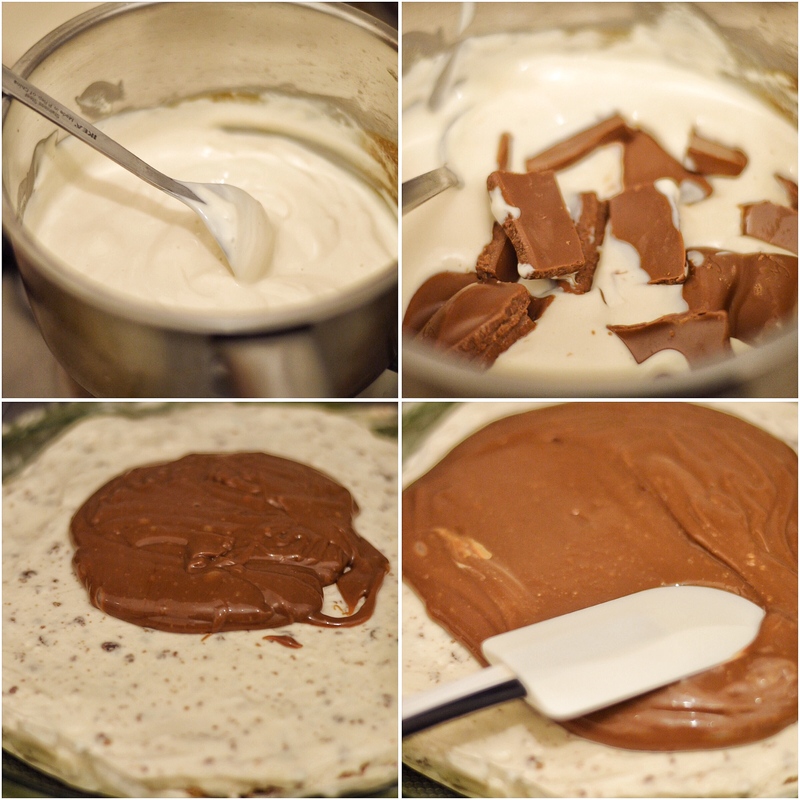 Add this filling onto the twix base. Refrigerate while you make the topping. Heat the nestle cream till it comes to a boil. Add in the chopped milk chocolate and mix well till it is completely melted. Let it cool well. Pour this on top of the pie. 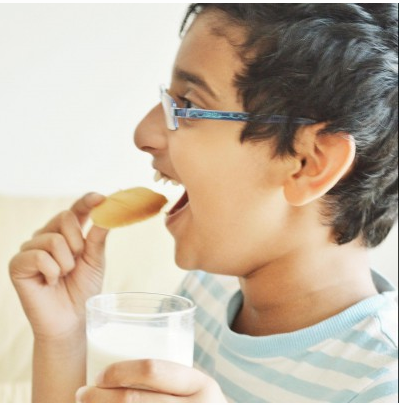 Do not whisk the whipping cream for very long or else you will get curdled cream, which won’t be of any use. I am sharing this over at Fiesta Friday, FoodieFriDIY and Saucy Saturdays. Hahaha! Thanks a loot Bint Abdillah! Hahaha! Sorry dear Rafeeda! Make this for your kids. Don’t torture them with the vegan diet. Happy to know that you liked it. Thanks Ahila! It would be good for 4-5 people. Oh my, this is what dreams are made of. I want one of my own now 🙂 I haven’t been receiving your posts for some reason. Let me subscribe again. Thanks a lot Loretta! Nice to be in contact with you again. Craving for dessert realy wanna taste it just now!Drooling! Wow Sadia 🙂 This looks amazing. I need to find me some vegan twix’s! Thank you! Oh no, create a vegan twix recipe. This looks brilliant Sadia!! I love it ..and I am sure my co hosts at #SaucySaturdays will be just as much in love with this. Thanks for joining us.. Thank you! Glad to know that you liked it. Thank you soo much Sharmi! Feel so happy really. If you have ready caramel sauce then the butter is not necessary. Otherwise yess, you will have to rush to the market. Hi ! I just tried it out right now ,superrbb till now, refrigerating to set, just felt the filling portion with 4 oreos was a bit tooo sweet ,next time will try with just one oreo Cheers! Okay. You can omit the cookies. Hope it got set well and you all enjoyed it. MashaAllah Sadia beautiful pics and mouthwatering dishes ….. I tried many of your recipes and Alhamdulilah everything was delicious…. Jazakallah for sharing your treasured recipes.. 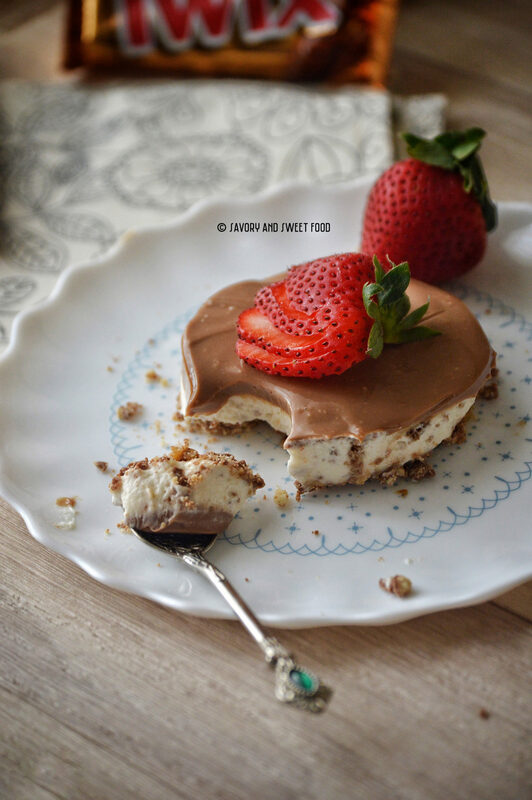 I will make your caramel twin pie inshaAllah tomorrow… Sadia how did you get that shape in a plate(in the picture) . My daughter wants it like that only…..
Ameen ameen. jazakallah dear for this sweetest comment ever. You are too sweet. Regarding the shape, I cut it out from the tray using a round cookie cutter. Walaikumsalaam Nahla. This would be good for 4-5 people.